Disclaimer: This is definitely not low calorie. Lauren and Sean had the best idea to make calzones for lunch today! So I high- jacked it and joined in. We used the super convenient dough from Trader Joes– one wheat dough and one herb dough. We had a variety of things in the fridge to make our calzones! I went with a Puerto Rican chicken and smoked pork sausage. Chopped all that up with some white new york cheddar and some Marjoram and Sage, pizza sauce (Also from TJ’s). My calzone is modestly pictured to the right. Lauren and Sean stepped it up with a fancy Prosciutto and Arugula calzone. Man that was good. The saltiness of the Prosciutto really worked well balancing the peppery Arugula. Also, their calzone was HUGE. Nothing wrong with that. 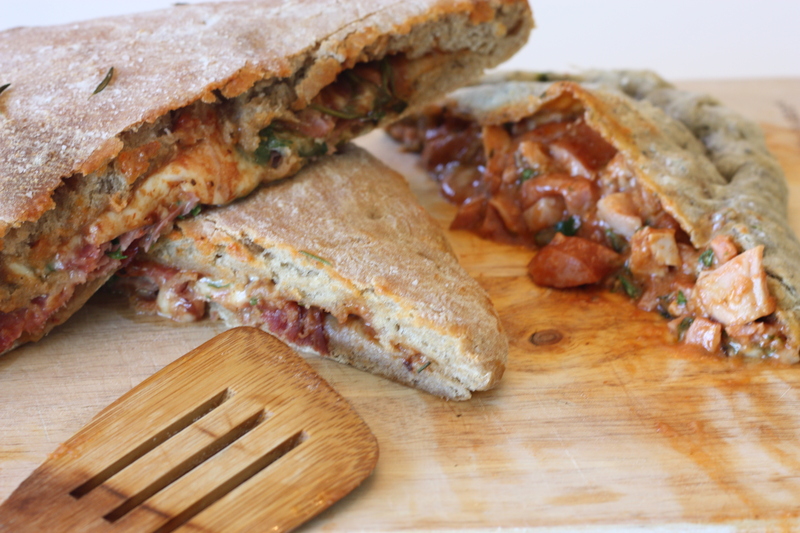 If you think you’re having too much pizza (impossible), I recommend having a calzone. You’ll feel better! 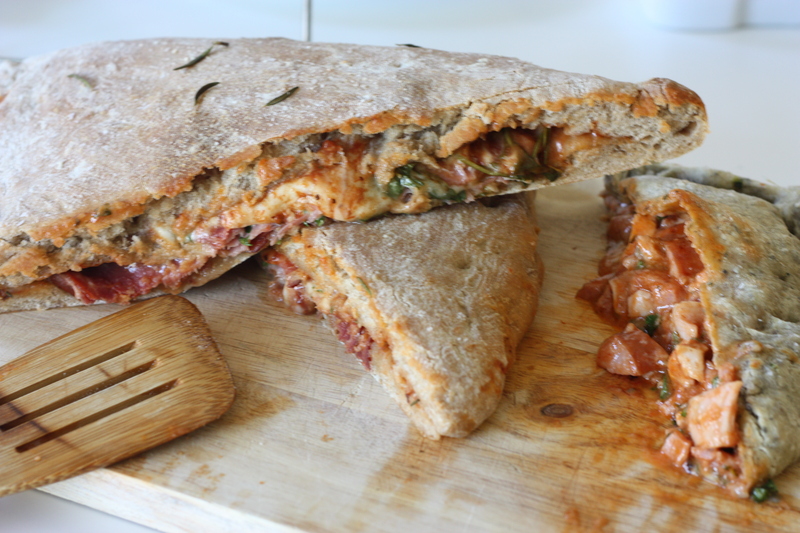 This entry was posted on November 3, 2012 by rrfoods in Lunch, Pizza, Quick Nom and tagged arugula, baked, calzone, chicken, pizza, prosciutto, sausage, tomato.